Uncovering your spa client’s needs is more than an intake form. It is a combination of all spa areas working together: reception, technicians, facility and services. All areas have an opportunity to discover what your client needs and desires. The ultimate goal is help the client discover what they really need through a gentle process of discovery. While doing so, you develop a meaningful and professional relationship built on trust. In order to discover your client’s needs, we need to look at each spa process and how, through coaching, you can lead your client to a satisfying and comfortable spa experience. The phone is the first experience the spa client has with your facility. It is a critical step to building a client’s trust in your business and discovering their needs. 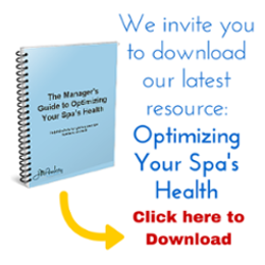 Your spa intake form is the second critical area to discovering your client’s needs. Your form needs to be detailed enough to know what your client is looking for, but not so lengthy that its an inconvenience to fill out. Treatment goal(s): stress release, relaxation, improve skin, etc. Often intake forms ask for more information than is needed, and clients can feel that their privacy is being invaded. Review your current intake form and be sure that what you are asking makes sense. The consultation should happen in a treatment room or in a lounge area. No matter where you choose, it needs to be private from all other spa guests. The technician should review the intake form prior to meeting the spa client. The client should never have to repeat any information that is on the form. The technician needs to read it, discuss important information relative to their treatment, and briefly explain the treatment. The client should feel 100% confident in the technician’s ability and fully understand the service they are about to receive. When the service has ended, the spa client should be directed on the post-treatment process in the spa, such as in which area to change clothes and where the technician will meet them afterwards. There should be zero guesswork on the client’s behalf regarding next steps. The technician should inform the client that they will leave a product recommendation form (based on their discovery of client’s needs) and ask for feedback about the treatment. It’s extremely important the client feels valued and appreciated. Give the client a glass of water. By properly discovering your spa client’s needs, you will provide a better level of service, resulting in higher customer satisfaction. When a spa client feels listened to, their needs anticipated, and treatments delivered beyond expectations, you can be sure you will have a lifelong client.